Lamb of God is a title for Jesus that appears in the Gospel of John. It appears at John 1,29, where John the Baptist sees Jesus and exclaims, Christian doctrine holds that divine Jesus chose to suffer crucifixion at Calvary as a sign of his full obedience to the will of his divine Father, as an agent and servant of God. In Christian theology the Lamb of God is viewed as foundational and integral to the message of Christianity, a lion-like lamb that rises to deliver victory after being slain appears several times in the Book of Revelation. It is referred to in Pauline writings,1 Corinthians 5,7 suggests that Saint Paul intends to refer to the death of Jesus, the lamb metaphor is in line with Psalm 23, which depicts God as a shepherd leading his flock. It is used in liturgy and as a form of contemplative prayer, the Agnus Dei forms a part of the musical setting for the Mass. These two proclamations of Jesus as the Lamb of God closely bracket the Baptists other proclamation in John 1,34, I have borne witness that this is the Son of God. From a Christological perspective, these proclamations and the descent of the Holy Spirit as a dove in John 1,32 reinforce each other to establish the divine element of the Person of Christ. The Book of Revelation includes over twenty-nine references to a lamb which delivers victory in a manner reminiscent of the resurrected Christ. In the first appearance of the lamb in Revelation only the lamb is found worthy to take the judgment scroll from God and break the seals. The reference to the lamb in Revelation 5,6 relates it to the Seven Spirits of God which first appear in Revelation 1,4 and are associated with Jesus who holds them along with seven stars. 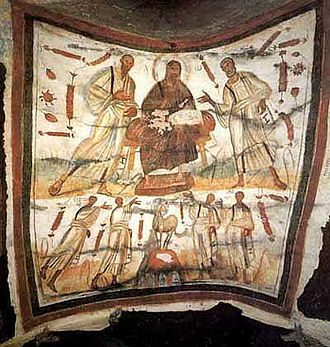 In Revelation 21,14 the lamb is said to have twelve apostles, the handing of the scroll to the risen lamb signifies the change in the role of the lamb. In Calvary, the lamb submitted to the will of the Father to be slain, the concept of the Lamb of God fits well within Johns agent Christology, in which sacrifice is made as an agent of God or servant of God for the sake of eventual victory. 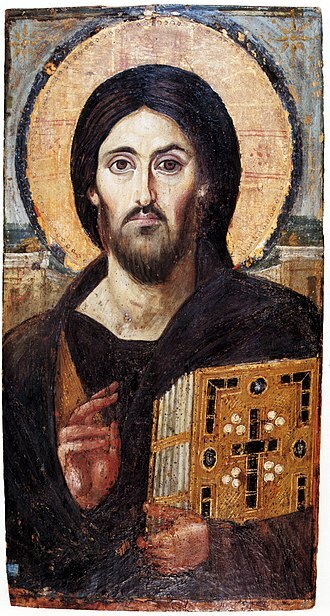 In Christology, the Logos is a name or title of Jesus Christ, seen as the pre-existent second person of the Trinity. It has been important for establishing the doctrine of the divinity of Jesus and his being God the Son by Trinitarian theologians as set forth in the Chalcedonian Definition. The concept derives from the prologue to the Gospel of John, which is translated into English as, In the beginning was the Word, and the Word was with God. 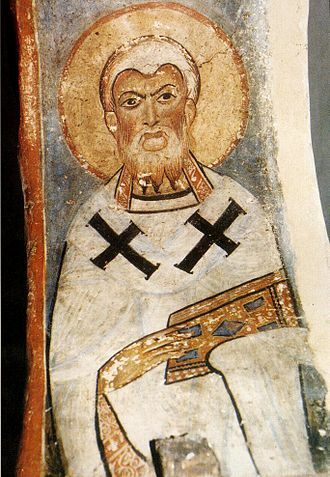 In the translations, Word is used for Λόγος, although the term is often used transliterated but untranslated in theological discourse. 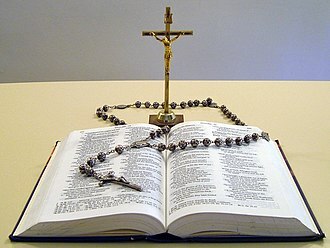 Christian theologians often consider John 1,1 to be a text in their belief that Jesus is God, in connection with the idea that the Father, the Son. Though only in verse and the fourteenth verse of the prologue is Jesus referred to as the Word. 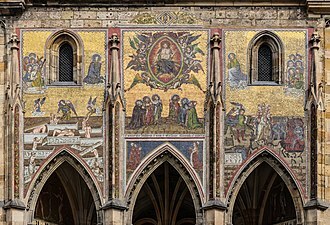 Theologian N. T. Wright characterizes Word as being incomprehensible in human language and he claims that through belief the Logos will transform people with its judgment and mercy. According to Wright, Johns view of the Incarnation, of the Word becoming flesh, theologian Stephen L. Harris claims the author of John adapted Philos concept of the Logos, identifying Jesus as an incarnation of the divine Logos that formed the universe. 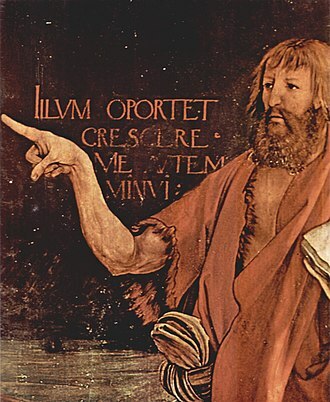 To the rabbis who spoke of the Torah as preexistent, as Gods instrument in creation, to the Gnostics who would deny a real incarnation, Johns answer was most emphatic, the Word became flesh. To those who stopped with John the Baptist, he made it clear that John was not the Light, although the term Logos is not retained as a title beyond the prologue, the whole book of John presses these basic claims. As the Logos, Jesus Christ is God in self-revelation and redemption and he is God to the extent that he can be present to man and knowable to man. The Logos is God, as Thomas stated, My Lord, yet the Logos is in some sense distinguishable from God, for the Logos was with God. God and the Logos are not two beings, and yet they are not simply identical. In 64 BCE, the already partially Hellenized Judea was incorporated into the Roman Republic as a client kingdom when Pompey the Great conquered Jeruseleum. The Romans treated Judea as a crossroads to trading territories. Direct rule was imposed in 6 CE, and Roman prefects were appointed to maintain order through a political appointee, throughout the third quarter of the first century, the conflict between the Jews and the Romans gave rise to increasing tensions. Before the end of the quarter of the first century, these tensions culminated with the first Jewish-Roman War. 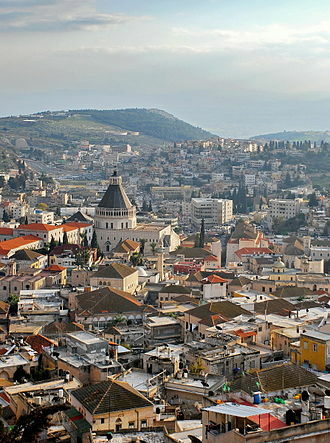 This war effectively flattened Jerusalem, and the city was rebuilt as the Roman colony of Aelia Capitolina. 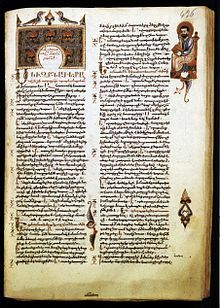 Historians seek to understand where Jesus and his followers fit among other Jewish factions at the time, Josephus speaks of a Fourth Movement, Lestai or Sicarii. The Pharisees were a force in 1st-century Judea. 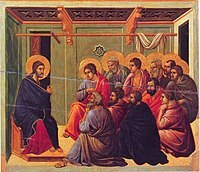 Early Christians shared several beliefs of the Pharisees, such as resurrection, retribution in the world, human freedom. 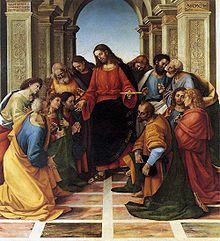 After the fall of the Temple, the Pharisaic outlook was established in Rabbinic Judaism, some scholars speculate that Jesus was himself a Pharisee. 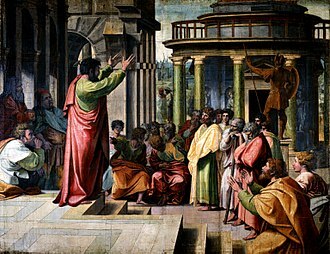 In Jesus day, the two schools of thought among the Pharisees were the House of Hillel, which had been founded by the eminent Tanna, Hillel the Elder. Jesus assertion of hypocrisy may have been directed against the members of the House of Shammai. Jesus commented on the House of Hillels teachings concerning the greatest commandment, Historians do not know whether there were Pharisees in Galilee during Jesus life, or what they would have been like. The Sadducees were particularly powerful in Jerusalem and they accepted the written Law only, rejecting the traditional interpretations accepted by the Pharisees, such as belief in retribution in an afterlife, resurrection of the body and spirits. After the fall of Jerusalem, they disappeared from history, the Essenes were apocalyptic ascetics, one of the three major Jewish schools of the time, although they were not mentioned in the New Testament. In Islamic eschatology, the Mahdi is the prophesied redeemer of Islam who will rule for five, nine, or nineteen years before the Day of Judgement and will rid the world of evil. There is no reference to the Mahdi in the Quran. According to Islamic tradition, the Mahdis tenure will coincide with the Second Coming of Jesus Christ, differences exist in the concept of the Mahdi between Shia Muslims and adherents of the Sunni tradition. For Sunnis, the Mahdi is the Muslims future leader who is yet to come, for most Shia Muslims, the Mahdi was born but disappeared and will remain hidden from humanity until he reappears to bring justice to the world, a doctrine known as the Occultation. For Twelver Shia, this hidden Imam is Muhammad al-Mahdi, the Twelfth Imam, throughout history, various individuals have claimed to be the Mahdi. The term mahdi does not occur in the Quran, but it is derived from the Arabic root h-d-y, the term al-Mahdi was employed from the beginning of Islam, but only as an honorific epithet and without any messianic significance. As an honorific it has used in some instances to describe Muhammad, as well as Abraham, al-Hussain. During the second war, after the death of Muʾawiya. In Kufa during the rebellion in 680s, Al-Mukhtar proclaimed Muhammad al-Hanafiyyah as the Mahdi in this heightened sense. Among the Umayyads, Sulayman encouraged the belief that he was the Mahdi, early discussions about the identity of al-Mahdi by religious scholars can be traced back to the time after the Second Fitna. These discussions developed in different directions and were influenced by traditions attributed to Muhammad, by the time of the Abbasid Revolution in the year 750, Mahdi was already a known concept. Evidence shows that the first Abbasid caliph As-Saffah assumed the title of the Mahdi for himself and they became known as Kaysanites, and introduced what became two key aspects of the Shias concept of the Mahdi. The first was the notion of return of the dead, particularly of the Imams, the second was that after al-Hanafiyyahs death they believed he was, in fact, in hiding in the Razwa mountains near Medina. 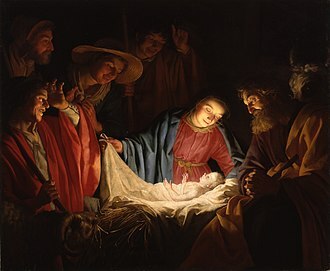 The Quran and most Hadith mention Jesus to have been born a pure boy to Mary as the result of virginal conception, similar to the event of the Annunciation in Christianity. Like all prophets in Islamic thought, Jesus is called a Muslim, in Islam, Jesus is believed to have been the precursor to Muhammad, attributing the name Ahmad to someone who would follow Jesus. Muslim tradition believes Jesus will return to earth near the Day of Judgment to restore justice, the narrative has been recounted with variations and additions by Islamic historians over the centuries. Secluded in a church, she is joined by a man named Joseph. Mary is described as a widow, without mention of a previous husband, the account of the birth of Jesus follows the Qurans narrative, adding that the birth occurred in Bethlehem beside a palm tree with a manger. 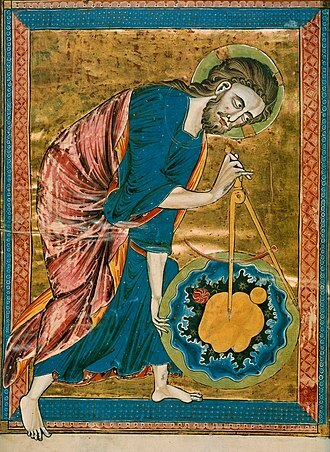 The work The Meadows of Gold by Al-Masudi, an Arab historian and geographer, al-Athir writes about how Jesus as a young boy helped to detect a thief, and about bringing a boy back to life which Jesus was accused of having killed. Al-Athir makes a point believing Marys pregnancy to have lasted not nine or eight months and his basis is that this understanding is closer to where the Quran says Mary conceived him and retired with him to a distant place. 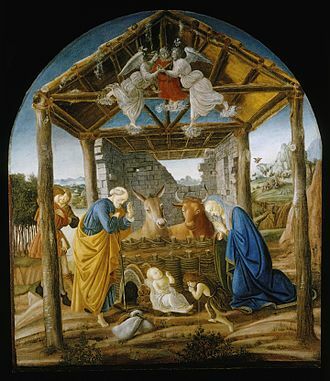 The virgin birth of Jesus is announced to Mary by the angel Gabriel while Mary is being raised in the Temple after having been pledged to God by her mother. Gabriel states she is honored over all women of all nations and has brought her glad tidings of a holy son. A hadith narrated by Abu Hurairah, one of the earliest companions of Muhammad, quotes Muhammad, a baby who is touched like that gives a cry. The only exceptions are Mary and her son, the angel declares the son is to be named Jesus, the Messiah, proclaiming he will be called a great prophet, being the Spirit of God and Word of God, who will receive al-Injīl. 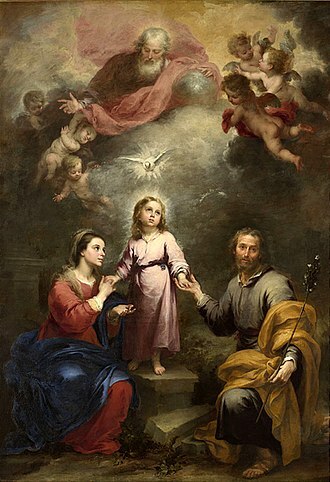 The angel tells Mary that Jesus will speak in infancy and, responding how she could conceive and have a child when no man had touched her, was told by the angel that God can decree what He wills, and it shall come to pass. Adam is a figure from the Book of Genesis who is mentioned in the New Testament, the deuterocanonical books, the Quran, the Book of Mormon, and the Book of Iqan. According to the myth of the Abrahamic religions, he was the first human. 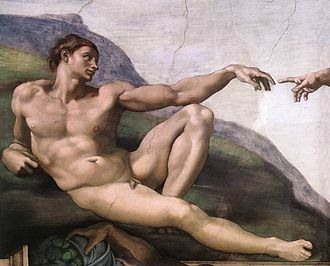 In the Genesis creation narratives, he was created by God, Christian churches differ on how they view Adams subsequent behavior of disobeying God, and to the consequences that those actions had on the rest of humanity. Christian and Jewish teachings sometimes hold Adam and Eve to a different level of responsibility for the Fall, in addition, Islam holds that Adam was eventually forgiven, while Christianity holds that redemption occurred only through the sacrifice of Jesus. 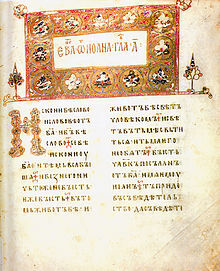 The Baháí Faith and some Christian denominations consider Adam to be the first prophet, Adam as a proper name, predates its generic use in Semitic languages. Its earliest known use as a name in historicity is Adamu. Its use as a word in the Hebrew language is ׳āḏām. Coupled with the article, it becomes the human. Its root is not attributed to the Semitic root for man --sh, rather, ׳āḏām is linked to its triliteral root אָדָם‎, meaning red, handsome. As a masculine noun, adam means man, mankind usually in a context as in humankind. The noun adam is the form of the word adamah which means ground or earth. It is related to the words, admoni, according to a number of observers, the word Adam derives from Sanskrit word Adima, meaning progenitor, primitive in Sanskrit. 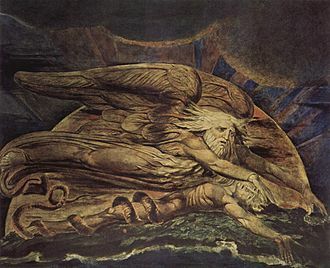 In the Book of Genesis, the Hebrew word ׳āḏām is often rendered mankind in the most generic sense, the use of mankind in Genesis, gives the reflection that Adam was the ancestor of all men. Kabbalistic works indicate that Adam comes from the Hebrew word Adame, in the first five chapters of Genesis the word אָדָם is used in all of its senses, individually, gender nonspecific, and male. According to the Jewish Encyclopedia, its use in Genesis 1 is generic, while in Genesis 2 and Genesis 3 the generic and personal usages are mixed. In Genesis 1,27 adam is used in the sense, whereby not only the individual Adam. The miracles of Jesus are the supernatural deeds attributed to Jesus in Christian and Islamic texts. The majority are faith healing, resurrection of the dead, in the Synoptic Gospels, Jesus refuses to give a miraculous sign to prove his authority. To many Christians and Muslims, the miracles are actual historical events, including liberal Christians, consider these stories to be figurative. Since the Enlightenment scholars have taken a highly skeptical approach to claims about miracles, in most cases, Christian authors associate each miracle with specific teachings that reflect the message of Jesus. 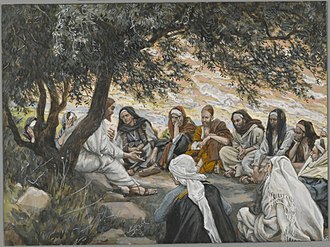 The three types of healings are cures where an ailment is cured, exorcisms where demons are cast away, karl Barth said that, among these miracles, the Transfiguration of Jesus is unique in that the miracle happens to Jesus himself. In Matthew 10,8 he advised his disciples to heal the sick without payment and stated, freely ye received and it is not always clear when two reported miracles refer to the same event. For example, in the Healing the Centurions servant, the Gospels of Matthew, the Gospel of John has a similar but slighty different account at Capernaum, and states that it was the son of a royal official who was cured at a distance. The largest group of miracles mentioned in the New Testament involve cures, the Gospels give varying amounts of detail for each episode, sometimes Jesus cures simply by saying a few words, at other times employs material such as spit and mud. Generally they are referred to in the Synoptic Gospels but not in the Gospel of John, the canonical Gospels tell a number of stories of Jesus healing blind people. The earliest is a story of the healing of a man in Bethsaida in the Gospel of Mark. The Mark Gospel has an account of the healing of a man named Bartimaeus, the Gospel of Luke tells the same story of Jesus healing an unnamed blind man, but moves the event in the narrative to when Jesus approaches Jericho. The Gospel of John describes an episode in which Jesus heals a man blind from birth, placed during the Festival of Tabernacles, Jesus mixes spittle with dirt to make a mud mixture, which he places on the mans eyes. Eternal life traditionally refers to continued life after death, as outlined in Christian eschatology. The Apostles Creed testifies, I believe, the resurrection of the body, and life everlasting. 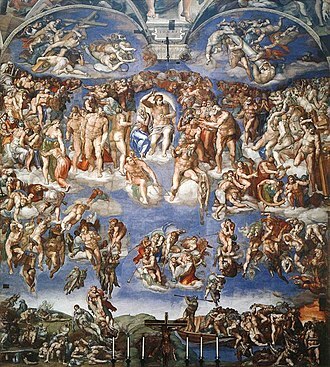 The Catechism of the Catholic Church states, By death the soul is separated from the body, just as Christ is risen and lives for ever, so all of us will rise at the last day. N. T. Wright argues that Gods plan is not to abandon this world, rather, he intends to remake it. And when he does, he will raise all people to new life to live in it. Raymond E. Thus, unlike the synoptics, in the Gospel of John eternal life is not only futuristic, in John, the purpose for the incarnation, death and glorification of The Word was to provide eternal life to humanity. 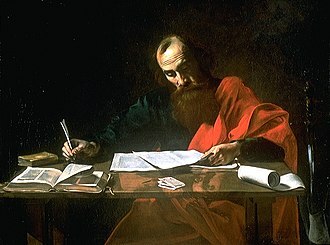 Scholars such as John H. Leith assert that life is never described in detail in the New Testament. Other scholars such as D. A, the Eerdmans Dictionary of the Bible on the other hand, contends that the nature of eternal life is only sketched in its essential elements in the New Testament. This eternal life is provided to believers, generally assumed to be at the resurrection of the dead, in New Testament theology, in addition to life, there is a promised spiritual life sometimes described by the adjective eternal but other times simply referred to as life. 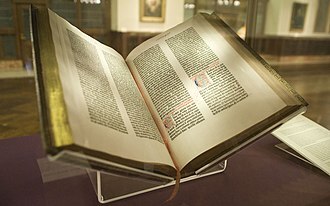 In the New Testament, life is not an inherent part of human existence, in Christian teachings, the Resurrection of Jesus is a unique event through which death was conquered once for all. As a consequence of the death and Resurrection of Jesus, Christians can experience eternal life both at the present as well as the future. In both John and Paul the possibility of attaining eternal life and avoiding the wrath of God is dependent on believing in Jesus, for John abiding in Christ involves love for one another, as in John 15, 9-17, and John 5,24. The existence of love in believers, facilitates the influence of the gospel on the world. Anyone who does not love remains in death, somewhat reminiscent of the words of Jesus in John 5,24, for Paul future eternal life arrives as a result of the indwelling of the Holy Spirit during the present life. Christ Walks on Water, by Ivan Aivazovsky, 1888. According to the Quran, the pains of labor took Mary to the trunk of a palm tree. The Mosque of Al-Askari in Samarra, Iraq, 2017. This is where Twelver Imams Ali al-Hadi and Al-Hasan al-Askari, respectively considered to be the grandfather and father of the Twelver Mahdi, are buried. 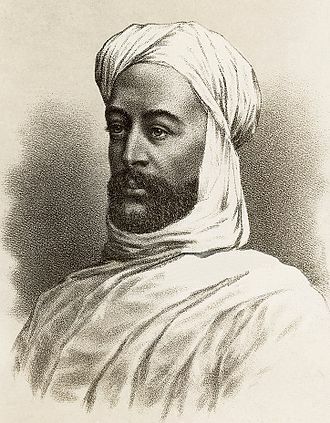 Muhammad Ahmad, a Sudanese Sufi sheikh, created a state, the Mahdiyah, on the basis of his claim to be the Mahdi. 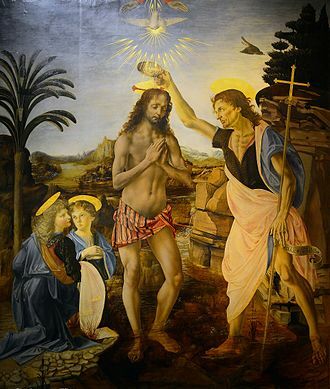 The criterion of embarrassment has been used to argue for the historicity of the baptism of Jesus, shown here in The Baptism of Christ by Juan Fernández Navarrete.